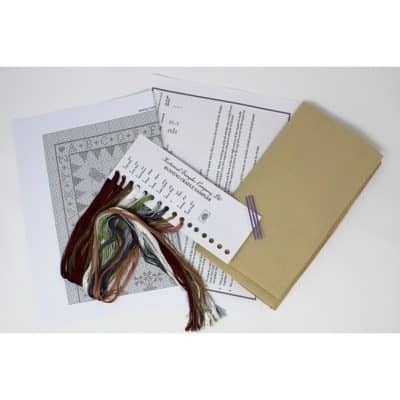 A counted cross stitch kit containing Zweigart fabric and DMC threads. 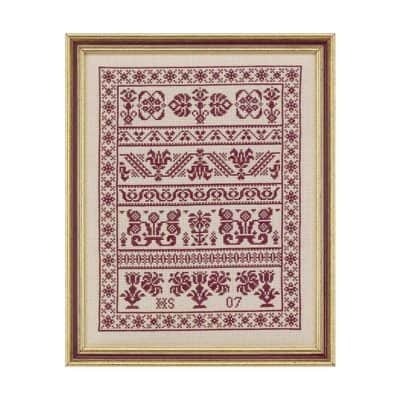 A smaller designer featuring repeating rows of borders all commonly found on Antique Samplers. The design if very eye catching stitched completely in a lovely deep red thread.